Is the Board of Nursing is Taking Disciplinary Action Against You? We nurses are professionals who worked long and hard to get where we are. We’ve dedicated our lives to helping and comforting other people. Nursing is not just a profession, but a personal identity as well. That’s why an accusation of misconduct, incompetence or addiction can be devastating. An accusation can result from the most benign infractions. When an accusation is made to the Board of Nursing, an investigation, and inevitably, a disciplinary action follows. The disciplinary process is often scary and confusing and it can feel like no one is there to help. Many nurses are surprised to discover that the Board of Nursing is not on their side. The consequences of disciplinary action can result in licensure revocation and a permanent entry of information regarding the action in the Healthcare Integrity and Protection Data Bank and The National Practitioner Data Bank that will follow that nurse wherever he or she goes. It may even prevent him or her from practicing in New Mexico and in other states. However, the nurse can, and has a right to, have an advocate on his or her side. As soon as a nurse becomes aware of a complaint or an investigation in response to a complaint, he or she should consider getting legal help as soon as possible. I am a nurse and a lawyer, and I have represented a number of nurses, always with the goal of resolving the issues as quickly as possible and maintaining the client’s ability to practice. The New Mexico Board of Nursing (“the Board”) is the government agency empowered to ensure that nurses comply with the regulations set forth in the Nursing Practice Act (NMSA § 61-3-1 through 61-3-31) (“the Act”). Anyone may submit a complaint to the Board alleging that a nurse has violated the Act. The Act is written very broadly and encompasses a wide range of actions or omissions that could be defined as a violation. In many instances, what constitutes a violation may not be apparent to even the most diligent of nurses. Once the Board receives a complaint, it will investigate the allegations. Its investigation includes interviews of the complainant and nurse and gathering documents like personnel files and patient records. At the completion of the investigation, the Board will determine if it feels the allegations were substantiated or not. Nurses may unknowingly provide damaging information to the Board during this part of the process, and should seek legal advice before responding to an investigation. If the allegations are substantiated, the Board will issue a Notice of Contemplated Action. 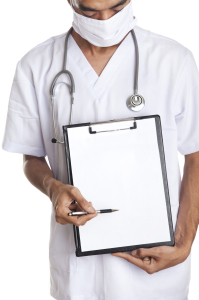 The nurse is then provided with an opportunity to have a hearing in front of the Board, respond to the allegations in the complaint, and present his or her evidence. At that hearing, an attorney for the Board will present the State’s case against the nurse. The Board will decide whether the Act was violated and what action it will take. The Board may deny a licensure application, reprimand, suspend or revoke a license and may impose conditions upon the nurse such as fines, costs, supervision, continuing education, or drug screening. We can often reach a resolution that satisfies the Board and the nurse, however, before the case reaches the hearing stage. You need to understand the legal implications of any proceeding against your license. If you have found yourself facing the danger and uncertainty of a complaint or action against your license, please call Kallie Dixon today at 505-242-8000.